“We’ll leave the light on for you.” So says the famous Motel 6 slogan. And I love Motel 6 – for the most part. Accommodations are predictable, inexpensive, and (usually) liveable. 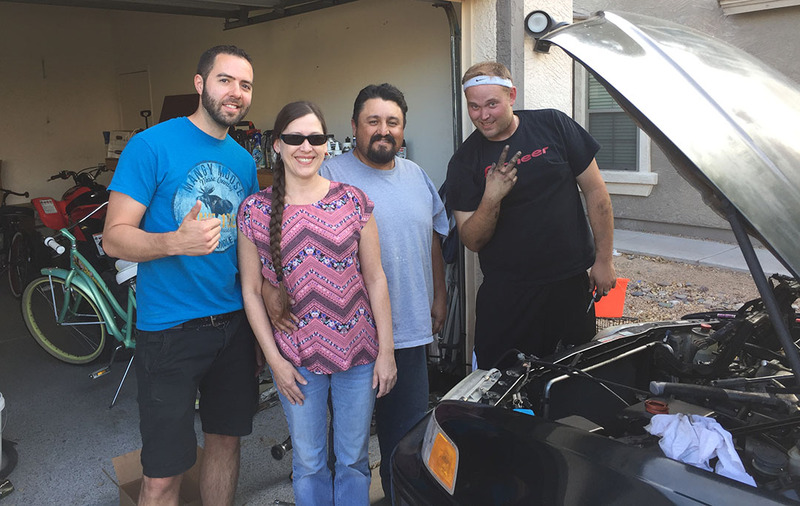 But my friends and I showed up at a hotel last Sunday night that not only didn’t leave a light on for us, it left us out on the street with the front door locked. 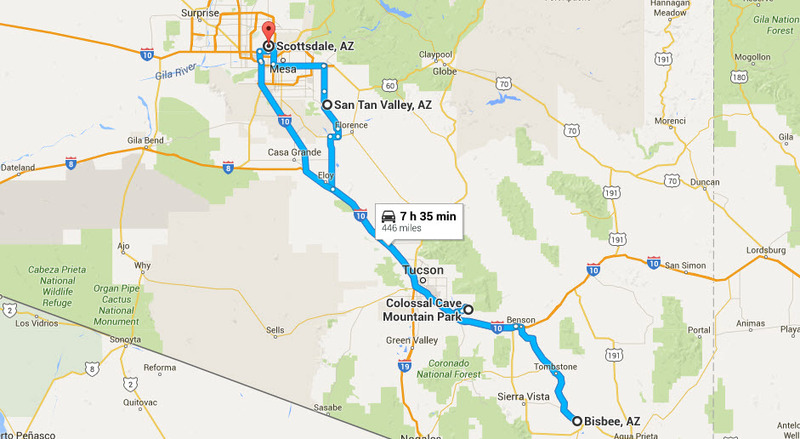 The time was about 7:30 p.m. and we’d just pulled up – tired and ready to settle in – from a 3.5-hour drive from the Phoenix area. We were standing at the door to the historic 1902 Hotel San Ramon in teeny Bisbee, Arizona just 9 miles north of the Mexican international border. And there was nobody there to let us in. I dialed the phone number written on a piece of paper that was taped to the glass window in the door. “Welcome to Verizon Wireless. Your call cannot be completed at this time.” I tried again and got the same message. 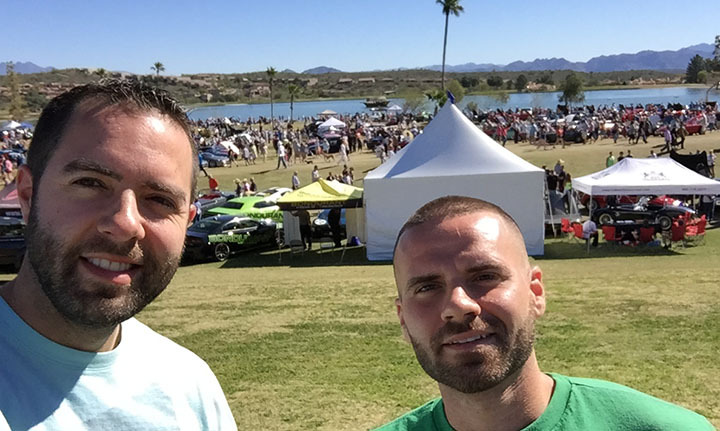 I looked at my road trip partners, Armando and Chris, with a bit of desperation. I already knew that vacancy was limited all over this teeny town of 5,000 people on a holiday weekend, and the chances of finding a back-up plan were slim. Would we end up driving 50 miles away to Benson to find a place to stay? As a last ditch effort, I walked next door to the restaurant called Santiago’s. “By chance do you know the keypad code to get into the hotel next door?” I asked the hostess. The girl disappeared behind a dividing wall and then returned with a woman who was already on her cell phone trying to come to our rescue. Luckily, the two were able to get in touch with the hotel proprietor and find out our 4-digit entry code. Moments later, we were lugging our bags up a flight of stairs to room #6. The hotel, as it turns out, only has 6 rooms in total. Aside from the check-in experience, everything else about San Ramon was positively charming. Our room was unlocked when we found it, with 2 keys on the dresser. 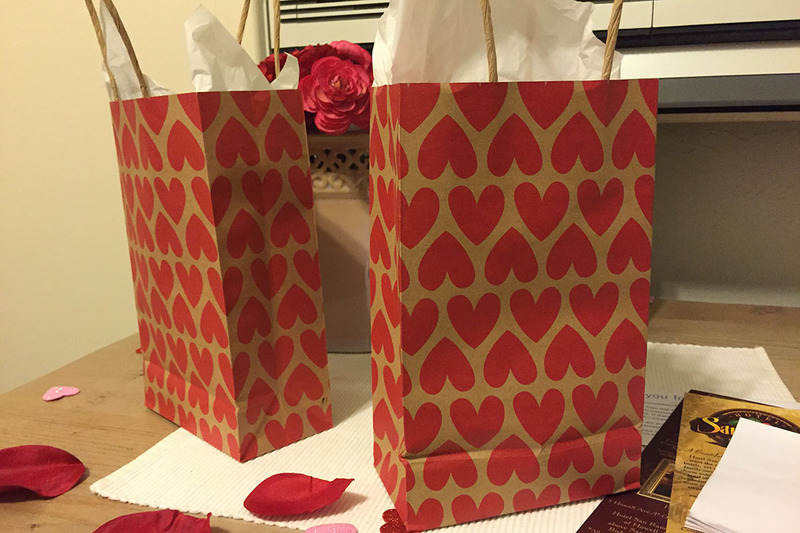 Silk rose petals were scattered on the floor, and 2 small Valentine’s Day goody bags were on top with a few chocolates. Eat that, Motel 6! 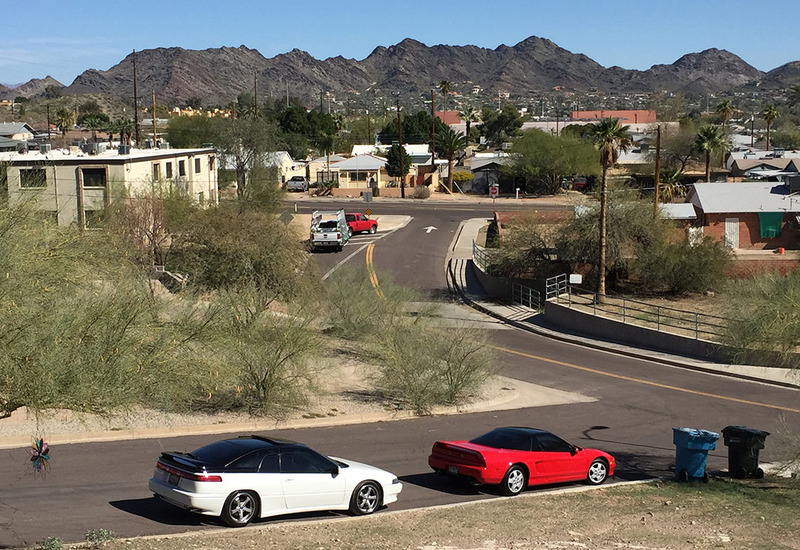 It was just a little more than 3 years ago that I made a trip to Bisbee in my Legend. 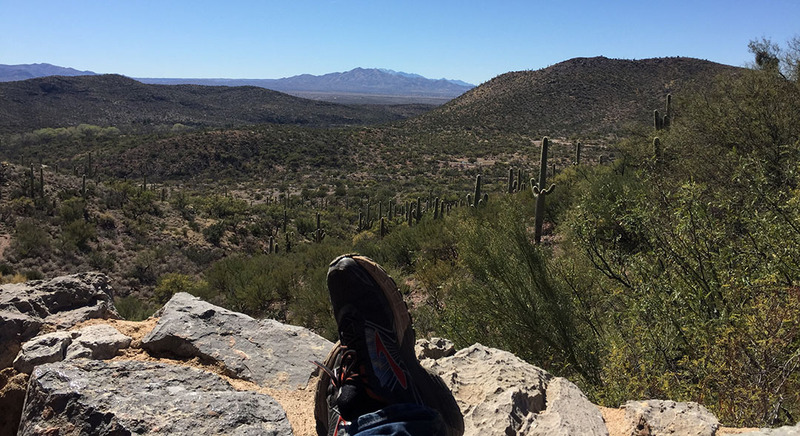 This latest experience was even more rich because I made it into an over-nighter as opposed to a rushed day-trip from the Phoenix area. After a delicious dinner at Santiago’s, Armando and I explored the night life for a little bit while Chris decided to hit the sack. 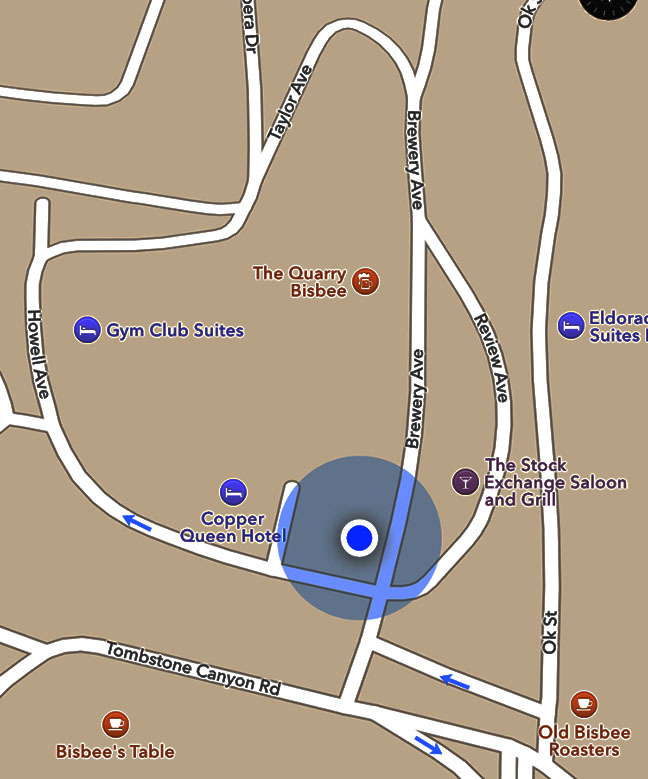 Just steps away from the front door of San Ramon was the Stock Exchange Saloon. 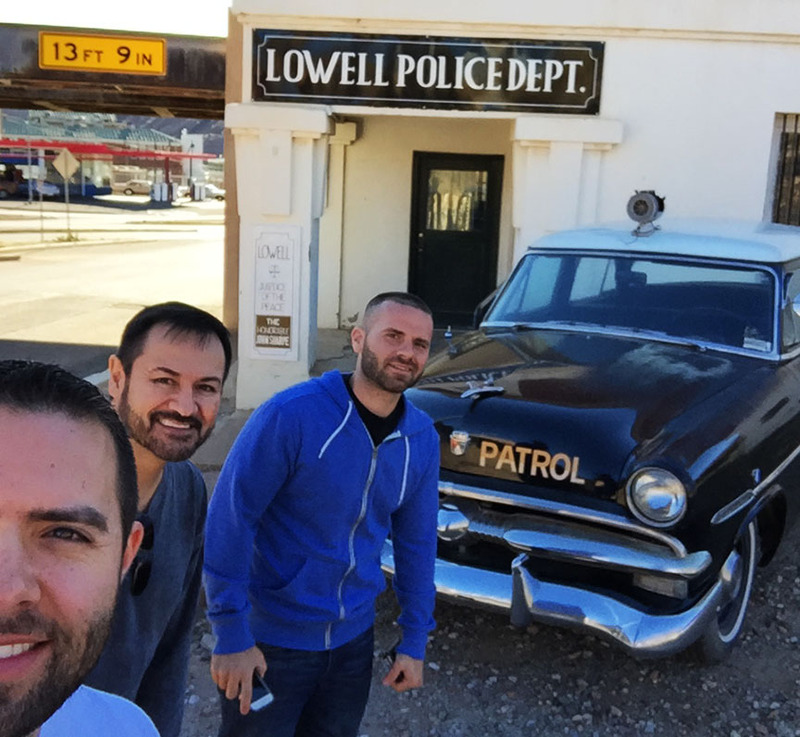 Its double doors and neon sign beckoned, so Armando and I went over to check it out. This building, dating back to 1905, once housed a stock brokerage firm called Duey and Overlock. 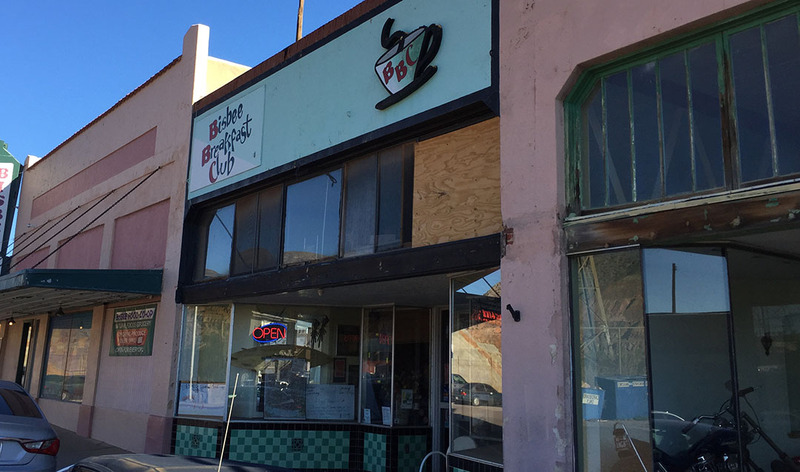 According to the gal behind the counter who was born and raised in Bisbee, this was the only branch of the New York Stock Exchange outside of New York at the time. Today, the venue retains some of the original elements from those days including this board along the back wall under plexiglass. Armando and I cued up a few hits on the jukebox including “Walkin’ on Sunshine” before calling it a night. On Monday morning, I rolled open the wooden windows of the 2nd floor hotel room and admired the perfect weather outside. 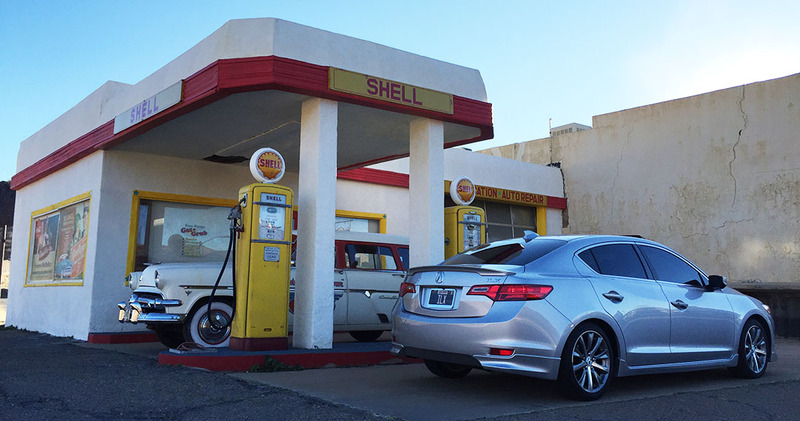 It was President’s Day, and we departed the San Ramon and took the ILX to have breakfast at “Bisbee Breakast Club” (BBC) a mile and a half away in historic Lowell. 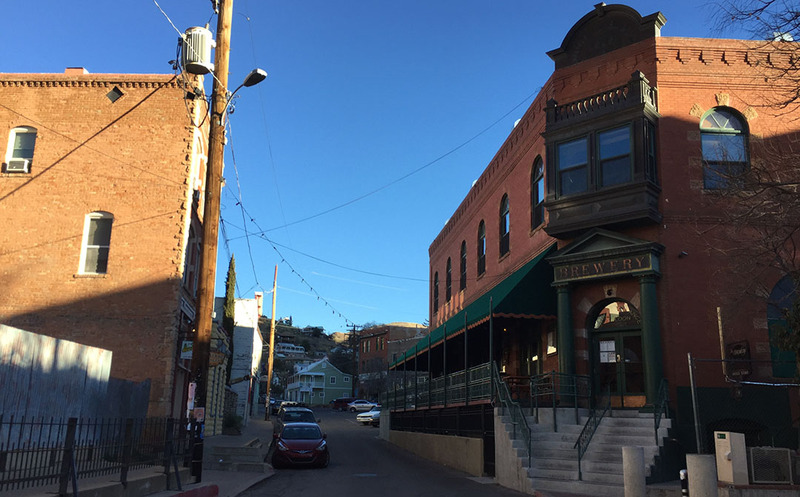 If the streets of Bisbee were a snapshot of the 1880s, then Lowell moved us forward about 80 years to the 1960s. The entire main street was lined with classic cars, varying in condition from scrap heap to show-ready. We stepped inside and feasted on chiles rellenos. 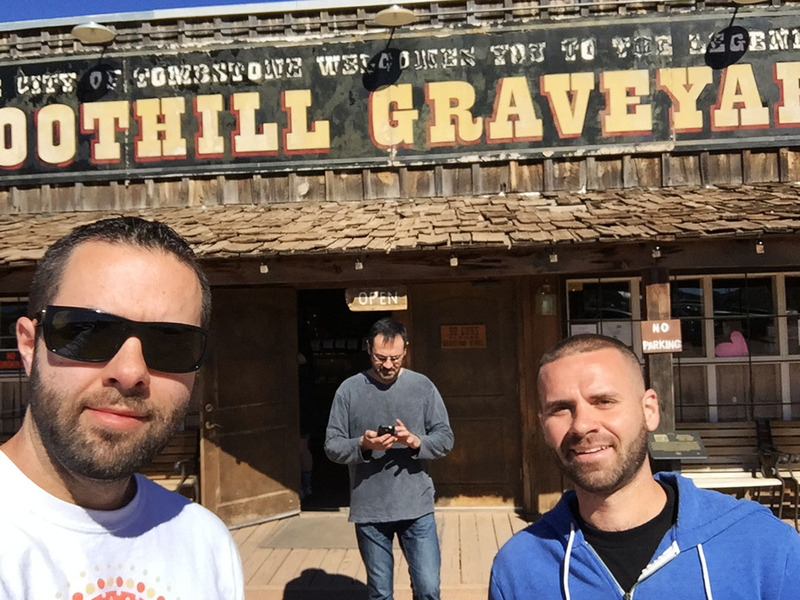 The rest of our morning was filled with sights & sounds of the American Wild West. 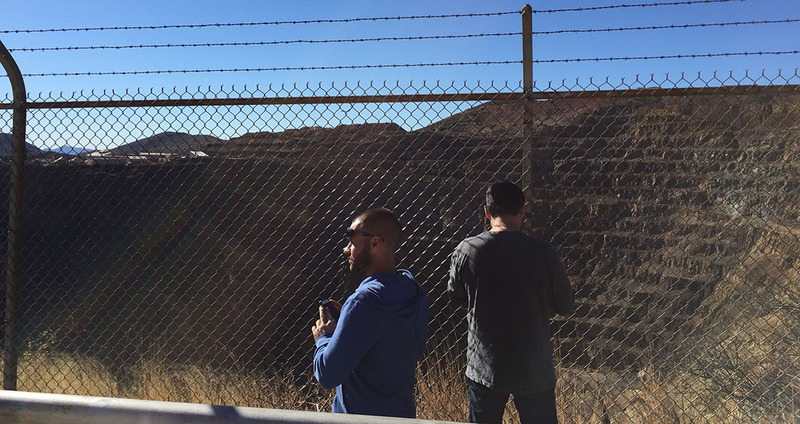 We stopped just briefly in Naco, Arizona at the Mexican border – but not too close – as none of us had our passports handy and we didn’t want to chance an “accidental” international border crossing. 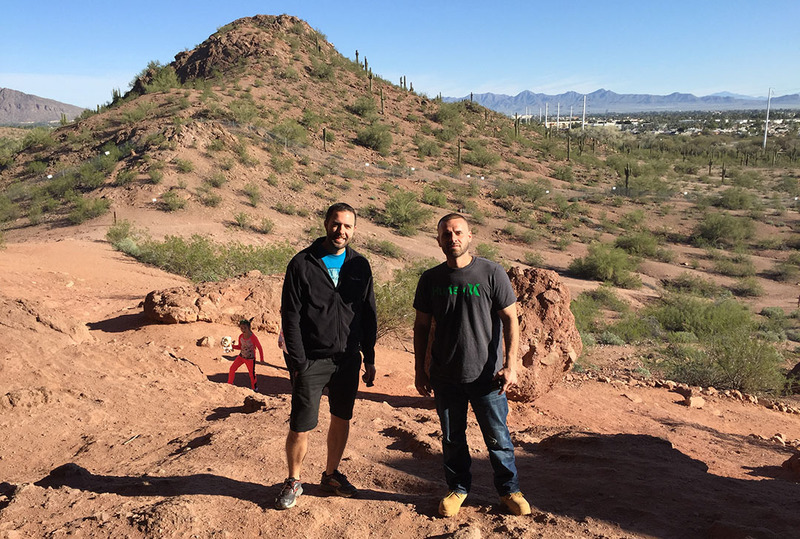 We took a moment back in Bisbee to frame up the re-creation of a photo that I took 3 years ago with my Legend. (Thanks Chris & Armando for being my photographers!). Bisbee’s strong heritage as a copper and gold mining town lives on and I will surely be going back for a tour of the mine soon. I knew we had a 1:00 p.m. cave tour to get to back in Tucson, so by about 11:00 we said our farewells to B-town and headed out. Out last stop on the trip was to a large underground cave about 20 miles east of Tucson that I last visited 100,000 miles ago in September 2013. Our talkative tour guide stretched a 45-minute walking tour (covering roughly 1/2 mile and almost 400 steps) into about an hour and 15 minutes. I learned a few new things this time around, but I was surely glad to surface for daylight at the conclusion. Thanks for joining for this weekend’s adventure! Other pics from this weekend follow. 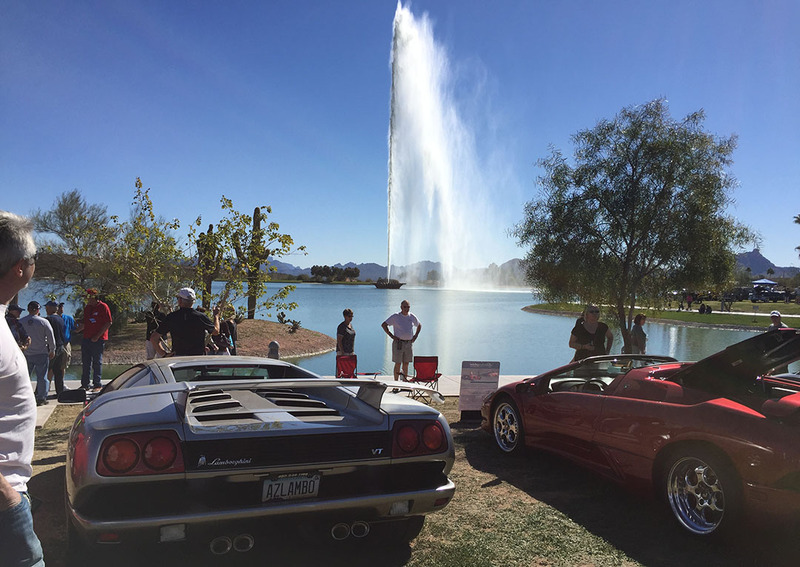 Wouldn’t be called Fountain Hills without an awesome fountain! 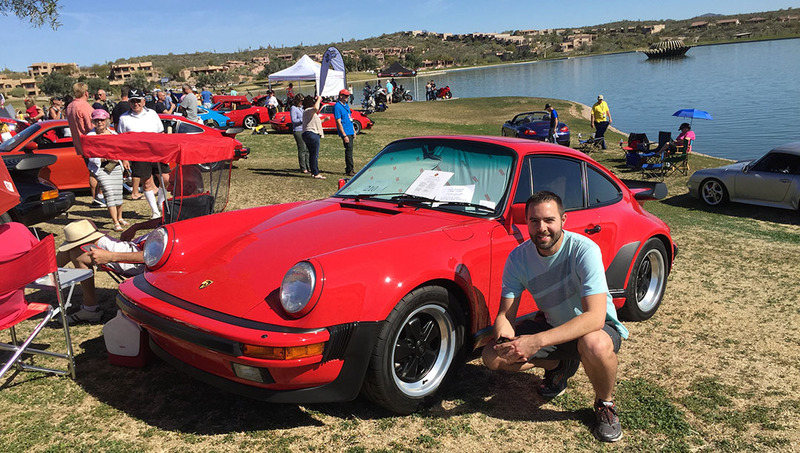 Loved this 1989 Porsche 911! Bisbee is extremely hilly and the streets are narrow. It’s no wonder the town wasn’t built in squares. Bisbee Breakfast Club awaits us! 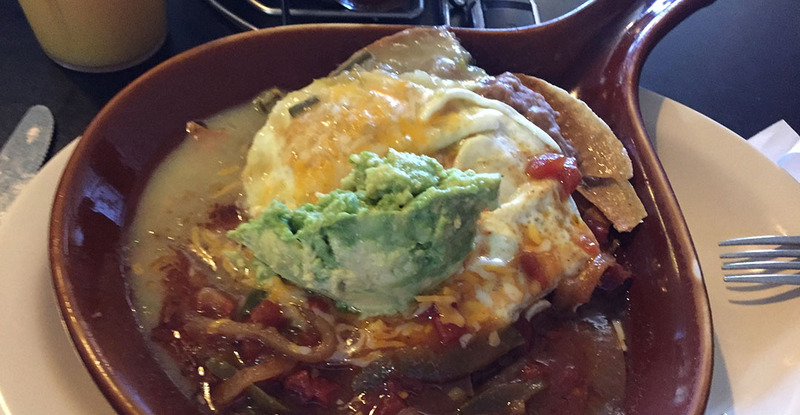 How about that Chile Relleno? 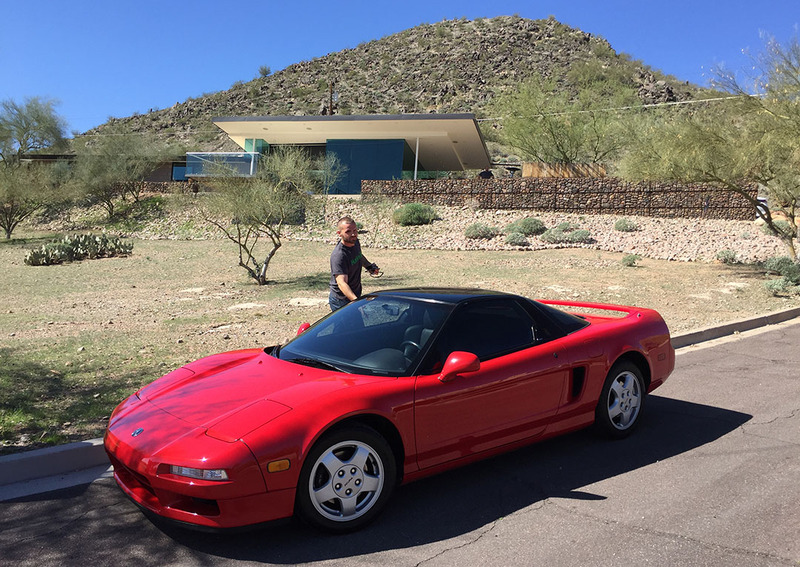 Make sure you stop by Josh Clymer’s blog, TSX Travels, where he’s now on the Final Fifteen countdown to 500,000 miles on his 2005 Acura TSX. 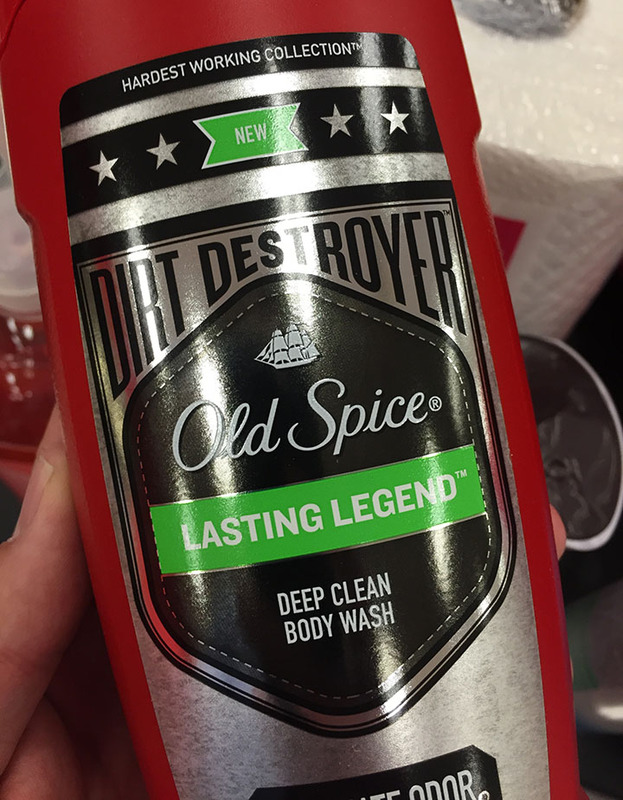 Also, I highly recommend “Lasting Legend” body wash from Old Spice. For obvious reasons! 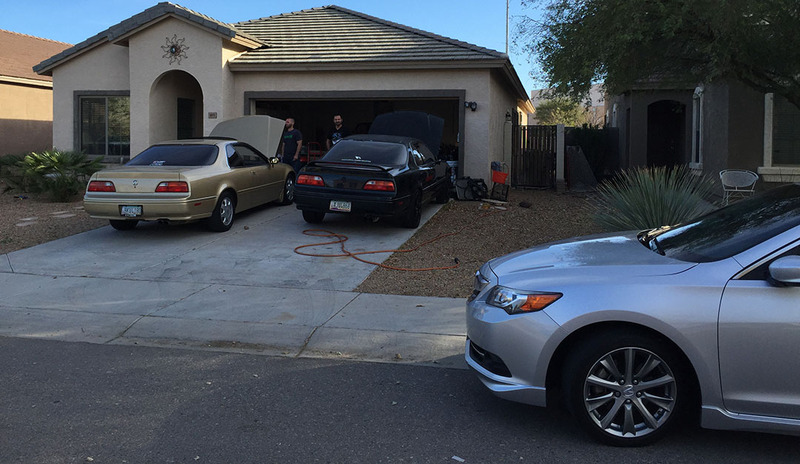 This entry was posted on February 16, 2016 at 4:56 pm and is filed under Arizona, ILX, NSX, Road Trip. You can follow any responses to this entry through the RSS 2.0 feed. You can leave a response, or trackback from your own site. Oh, I know! Been there, done that! 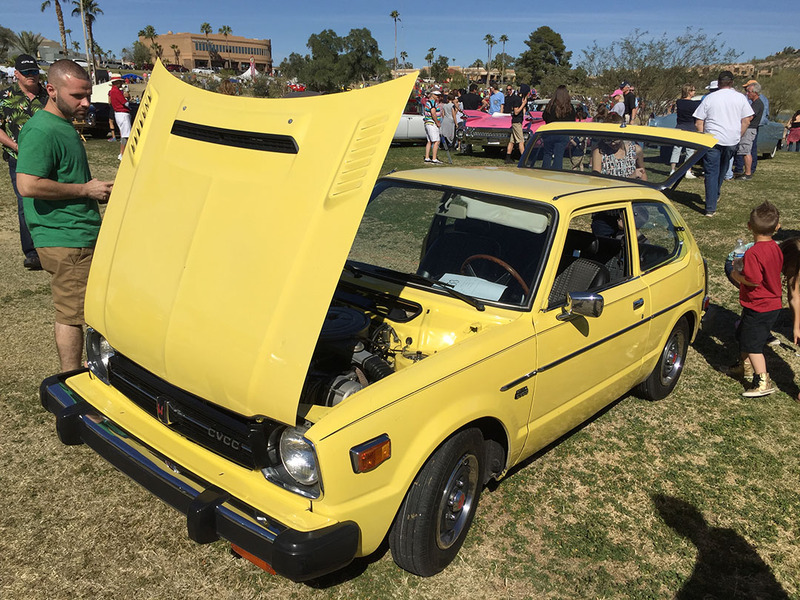 I’ve probably spent a combined 2 weeks in the backseat of my Legend coupe and it is NOT accommodating for an overnight stay 🙂 Hope you are doing well, Brad! Have a great weekend! So Tyson when can we expect to see your little corner of Scottsdale take on cultural & historical significance and give Lowell a run for its money?